Mossel Bay was not just voted Town Of The Year 2017 for the warm hospitality that our friendly locals provide and for the natural beauty of the town, but also for the array of activities and attractions that Mossel Bay offers visitors, hence the slogan “The Do-Stuff Destination”. Mossel Bay is quickly becoming the number one holiday destination in South Africa. Here you will never just sit around waiting for time to pass. The Sky is the limit when it comes to keeping yourself and your family entertained. Villa Chanté offers a free Concierge service to help you plan and book your activities during your stay with us. We also recently had the pleasure to have 6 of the country’s most loved bloggers stay in Mossel Bay to share their experiences of our town and ever so, Mossel Bay trended on Twitter for at least a week! Before heading out to experience the best of Mossel Bay, it all starts with a good breakfast to get you going. Mossel Bay offers a variety of Beachfront Restaurants and Cafes that not just only serves up a great breakfast, but lunch and dinner too. Delfino’s is one of the best spots in town to enjoy a delicious breakfast, freshly prepared with spectacular views. Breakfast vouchers can be booked with your stay to redeem at a selection of restaurants. This boat based charter offers memorable trips around Seal Island, home to more than 3000 resident Cape Fur Seals, Whale Watching trips in season and nostalgic sunset cruises around the bay. They depart from the Mossel Bay Harbour every hour on the hour and is weather permitted. Mossel Bay is one of the best sites in the world to get up close and personal with the ocean’s most feared predator – The Great White Shark. They are iconic animals of Mossel Bay and are known to breach completely out of the water. White Shark Africa offers visitors the chance of a lifetime to get wet and enjoy a cage diving experience. Pack your camera for a once in a lifetime chance to catch these amazing animals surface and maybe surprise you with a breach while watching from the upper deck. Get a birdseye view from Mossel Bay while taking a airplane flight over Mossel Bay and the Magnificent Outeniqua Mountains for 25 minutes. Once mid-air you will take a free fall for 25 seconds at 220km/hour, enjoy flying under a parachute for 5 – 6 minutes and land. This is also your chance to capture the experience on video as they film the dive. Indalu Game Reserves offer you the chance to interact with the African Gentle Giants. Enjoy a guided tour by walking with and feeding the elephants and take photos of them up close. You can also enjoy the option to take a elephant back ride. Indalu also offers game drives and bird watching experiences. The Dias Museum is situated in the hub of Mossel Bay in a spectacular setting with breathtaking views from the premises. Take a stroll to the over 500 year old Post Tree (Milkwood Tree) with the famous shoe that was used as a post box back in the day. Mossel Bay was the first town in South Africa that had a Post Office. a Identical Replica of Bartholomew Diaz’ caravel is on display in the vessel section of the museum where vistors can climb onboard for a closer look at what the vessel used to look like exactly. The museum also offers a maritime section with a variety of marine life and a seashell display section. Go back in time and explore the rich history of Mossel Bay on display. Mossel Bay has it’s very own Casino – the only one in the Garden Route region, where visitors can enjoy the luxury of the Tsogo Sun brand. Enjoy a meal at the Admirals Buffet or Red Cherry Cafe, Catch a live show by well-known South African Artists at the Bravo Lounge, if you are feeling lucky then hit the Casino main floor with its different slot machine sections, Blackjack, Poker and Roulette tables, Cash Bars and waiting staff doing the rounds on the floor for your convenience. After a long day of excitement and family fun, you can head to dinner at the selection of restaurants by making use of the Free shuttle service, yes! you read correctly – absolutely free, that will collect you at Villa Chanté, drive you safely to the restaurant of choice and ensure that you return safely. Alternatively, you can enjoy our BBQ facilities for a stay-in BBQ dinner. 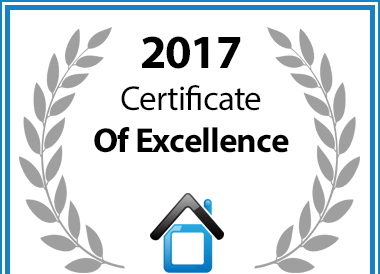 In recognition of exceptional service Villa Chante is hereby awarded a Certificate of Excellence.